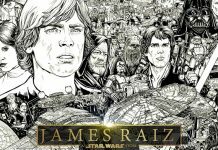 450 hours, over 7 months to create the ultimate Star Wars fan art tribute; it's awesome -- watch it you must! Sad news regarding the confirmation of Toys 'R' Us UK Toy closures after Christmas (spring 2018). 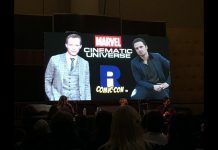 Daisy Ridley clarifies her position on playing Rey after Episode IX. A review of Marvel Comics Darth Vader #8. 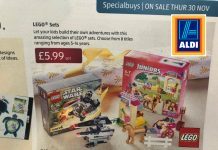 LEGO sets on offer starting today at Aldi, including the Star Wars TIE Striker Microfighter. 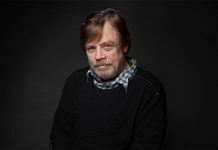 The story begins not long after the destruction of the first Death Star and follows the life of the reluctant hero of the hour; Luke Skywalker. 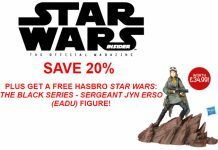 Subscribe to Star Wars Insider this weekend to get a FREE Hasbro Sergeant Jyn Erso (Eadu) figure, and save 20% off the cover price! 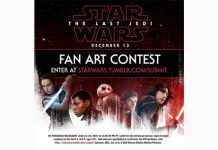 Submit your original Star Wars: The Last Jedi fan art, and it could be displayed at the US premiere! 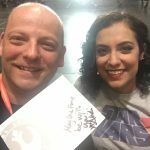 A review of Marvel Comics Darth Vader #7. 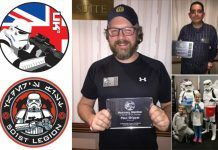 The UK Garrison were out in force at MCM Comic Con last weekend, raising money for charity and hosting their annual ball. 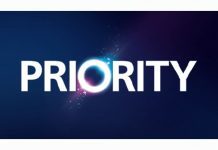 Save money, buy tickets or win the ultimate gift experience with O2 Priority. 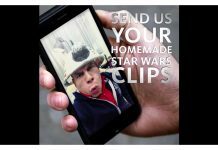 Santander UK will donate to children's charities for every clip created and uploaded. 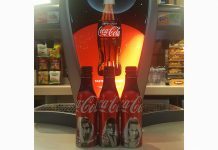 Rey, Finn and Kylo Ren Limited Edition Aluminum Coca-Cola bottles are £2 with a purchase of the drink at Cineworld cinemas -- whist stocks last. 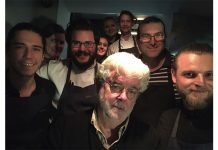 George Lucas pops in for a bite to eat and provides a nice surprise for the staff! Arriving on December 1st is a limited edition collector's pack featuring LEGO BrickHeadz of Rey and Kylo Ren (set #41489). The first volume of Star Wars Adventures includes issues 1 and 2, as well as the preview issue given away at SDCC. It's time for a review of the last issue of Marvel Comics Phasma #4. 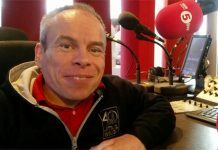 Warwick Davis talks The Last Jedi on BBC Radio 5 on the Afternoon Edition on Monday, 30 October 2017. We catch up, with a review of Marvel Comics Phasma #3. We catch up, with a review of Marvel Comics Phasma #2. We catch up, with a review of Marvel Comics Phasma #1. 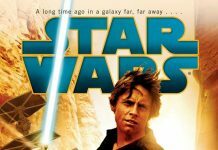 We review Star Wars: From a Certain Point of View.